Today, Coinbase is adding the popular privacy coin Zcash (ZEC) to its cryptocurrency exchange service for professional traders. Starting at 10 am PST (18:00 UTC), Coinbase Pro users will be able to start transferring Zcash into their accounts. Zcash is one of the most popular privacy coins. Zcash’s unique technology zk-SNARKs, allows users to send funds without disclosing their identities or the amounts sent. Zcash is often touted as the privacy-enhanced version of Bitcoin, oftentimes making the following tech-oriented analogy: Bitcoin is like HTTP for money, while Zcash is HTTPS, the secure transport layer built on top of the web. For more information on Zcash’s privacy features check out the official website. 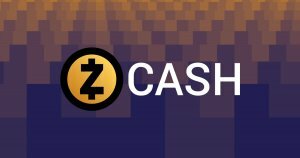 Starting today, Nov. 29th, Zcash will be available for full trading on Coinbase. Coinbase will roll out the new listing in four stages. Transfer Only (18:00 UTC): Coinbase Pro customers will be able to transfer ZEC into their accounts. No orders can be placed, nor can any orders be filled on Coinbase’s books. Order books will remain in transfer only mode for at least 12 hours, lifting at earliest on Nov. 30th at 06:00 UTC. Post Only (06:00 UTC): In the second stage of the launch, customers will only be able to post limit orders. There will be no matches or completed orders. The books will remain in post-only mode for at least one minute. Limit Only (06:01 UTC): In the third stage, limit orders will start matching, but customers will not be able to submit market orders. The order books will remain in limit only mode for a minimum of ten minutes. Full Trading (06:11 UTC): In the final stage, full trading will commence with limit, market, and stop orders. Following the announcement, in the last twenty-four hours, ZEC climbed from $79 to $87, an increase of 8 percent relative to an overall market dip of 2 percent. The post Zcash (ZEC) Launches on Coinbase Pro: Ramping-Up Listings appeared first on CryptoSlate.